A charity which provides long term support for homeless families has thanked the people of North Staffordshire for their incredible generosity over the Christmas period. From a Premier League football, through local businesses to residents, scores of people have supported the Gingerbread Centre. “People’s generosity has been fantastic over the festive period and we want to publicly thank everyone,” said Nigel Howle, Chair of Trustees at the Gingerbread Centre. “For example, we received large donations from two trade unions (Unite and Unison) and over 70 boxes full of presents and food donated after a spontaneous Reverse Advent calendar appeal on Facebook by Jo Barks and Natalie Horton. “Asmir Begovic and his family have been long term friend of the Gingerbread Centre and they haven’t forgotten us since moving from Stoke City, again donating Christmas presents. “Officers from Longton Police also gave children’s gifts and the Centre once again benefited from the Christmas Shoppers’ Services at Lichfield Cathedral where people left presents at the Alter. The Gingerbread Centre has two accommodation blocks in Stoke-on-Trent. Rothesay Court, Normacot, houses and supports families and Catherine Court works with pregnant, homeless teenagers. All residents are provided with long term support with the average stay being around 12 months at Rothesay Court and longer at Catherine Court. 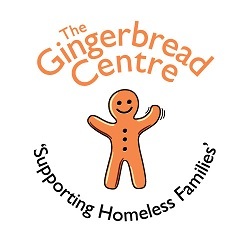 If you want to support the Gingerbread Centre, further information can be found online at www.gingerbreadcentre.co.uk.